A comfortable and supportive mid height pair of socks for alpine adventures. 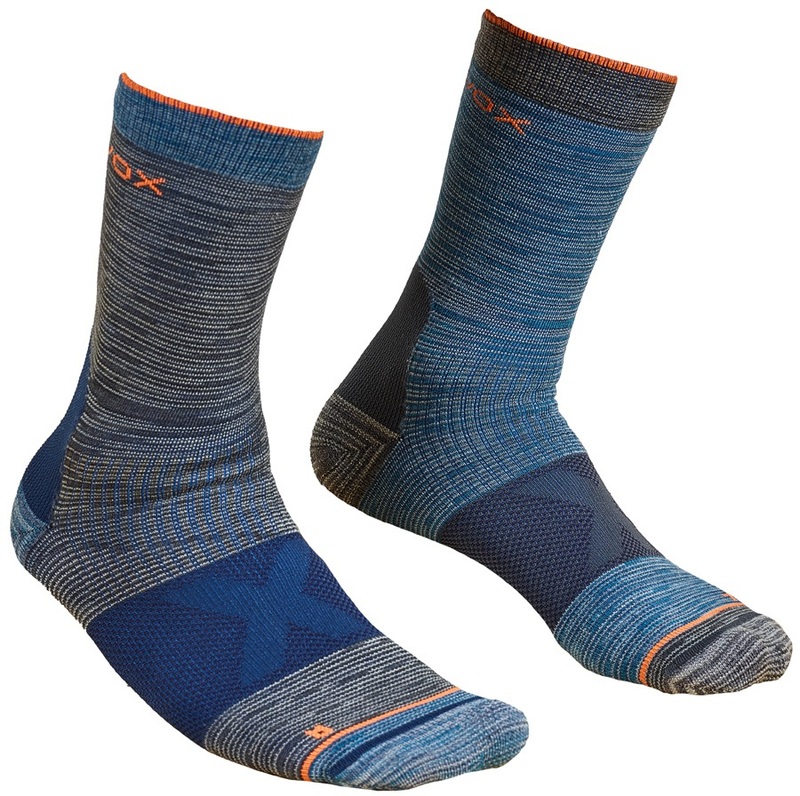 Ortovox bring a mid-height pair of alpine socks designed to keep you supported and comfortable whether you’re hiking through the Pennines or cruising through moguls in the French Alps. A 360° webbing system provides improved breathability, allowing your feet to stay fresh and dry, and a cushioning system at sensitive points provide exceptional comfort and protection, make these socks fantastic companions to whatever outdoor adventure takes your fancy. More features of these socks that make them a great and super comfy investment for your outdoor kit include ankle and arch support which ensures a slip-free fit and prevents creasing, reducing the chances of getting blisters; a cushioned heel and toe which not only increases comfort, but adds reinforcement increasing the robustness of these socks; a comfort cuff which allows for a comfy and slip-free fit; ergonomically optimised left and right fit, again with built-in cushioning and reinforcement for durability, and flat toe seams also help to prevent chafing and blisters. All of these features have been added to create a high quality, super comfortable pair of alpine adventure socks to keep you enjoying your day rather than limping home early.